This may seem complicated, but it’s actually a lot simpler than it sounds. Spead some peanut butter on a piece of bread and cover it with bird seed. Then hang it on a nearby tree outside, and watch the birds flock from all over to come visit your new feeder. Sign everyone up for a family lesson and take the kids skiing or snowboarding. Fortunately, many of the hills in the GTA are beginner-friendly, so you won’t have to worry about your children biting off more than they can chew. It may seem old fashioned, but it can still be a lot of fun. Find some sticks, buttons, a top hat and a scarf, and get building. There aren’t many hills in the GTA where tobogganing is still permitted, but there are still a few available across the city. Just remember to do a quick Google search ahead of time to make sure. Remember that if your children are younger, they should probably wear helmets to stay on the safe side. Fill some squirt bottles with water and a bit of food colouring and let your kids draw whatever they feel like in the snow. Your backyard is guaranteed to look a lot less boring. Bury some items around the yard and let your kids find them by organizing a treasure hunt. If you want to take things a step further, create a map of the backyard and give them hints to help them find the treasure. If your kids are a little older, they’ll likely have more interest in building a snow fort than a snow man. Just remember that snow forts can take quite a while to build, so be prepared to make your children some hot chocolate when they finally crawl back inside. Be sure to monitor their progresss and be mindful of potential cave-ins. And never build near the street – unexpected plows can be very dangerous. What true Canadian doesn’t love maple syrup? If you’re looking for a fun day activity to do with you and your loved ones, take them to one of the numerous maple syrup festivals located across the GTA. Just a heads up – these typically take place towards the end of winter. Public skating can be a great winter activity for the family. If you’re children are just beginners, take them to a local arena to teach them how to skate and help them build confidence. When they’re ready for it, spend an afternoon at local Newmarket outdoor rinks. 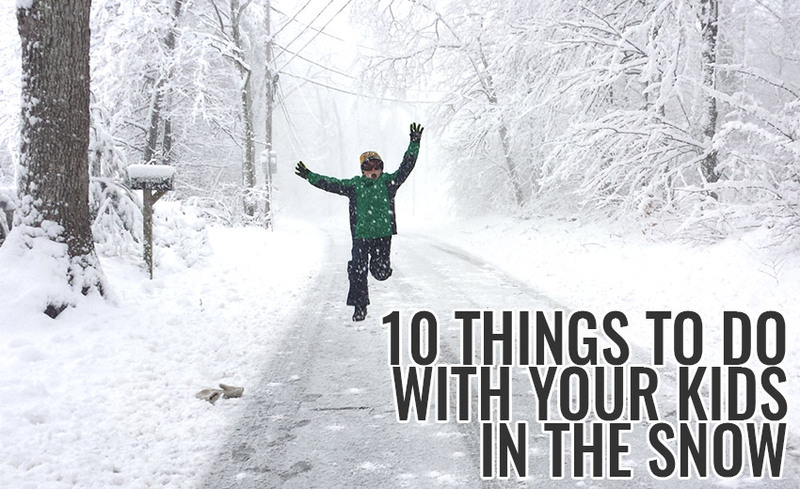 If your kids are good sports, take them outside for a playful snowball fight. Whatever you choose, get outside and do it as a family!